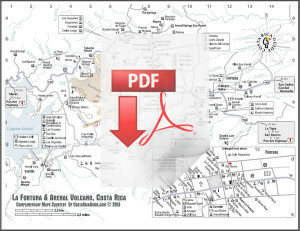 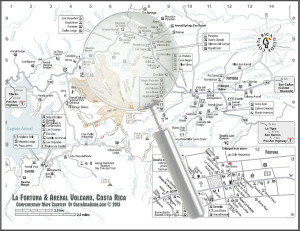 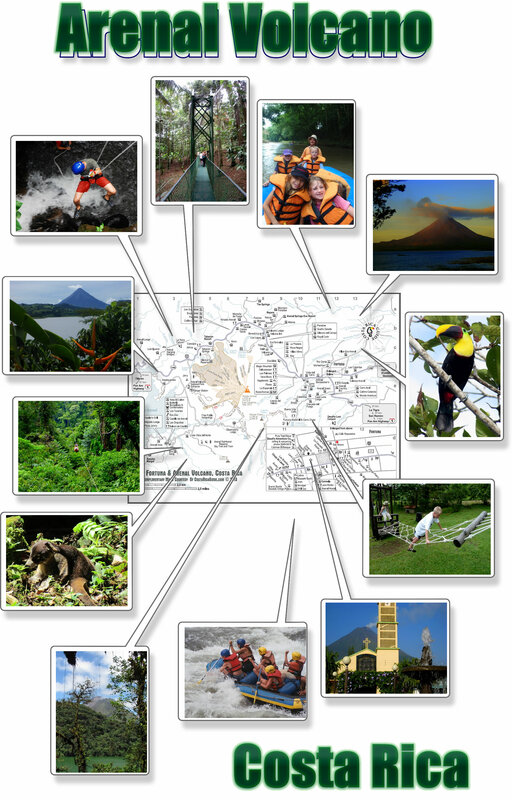 Free printable pocket map of the Arenal Volcano region, La Fortuna and the national park featuring hotels, resorts and lodges and hot spring spas with approximate price ranges for each. Natural features like streams, rivers, lakes and peaks plus the most popular tour locations are highlighted. 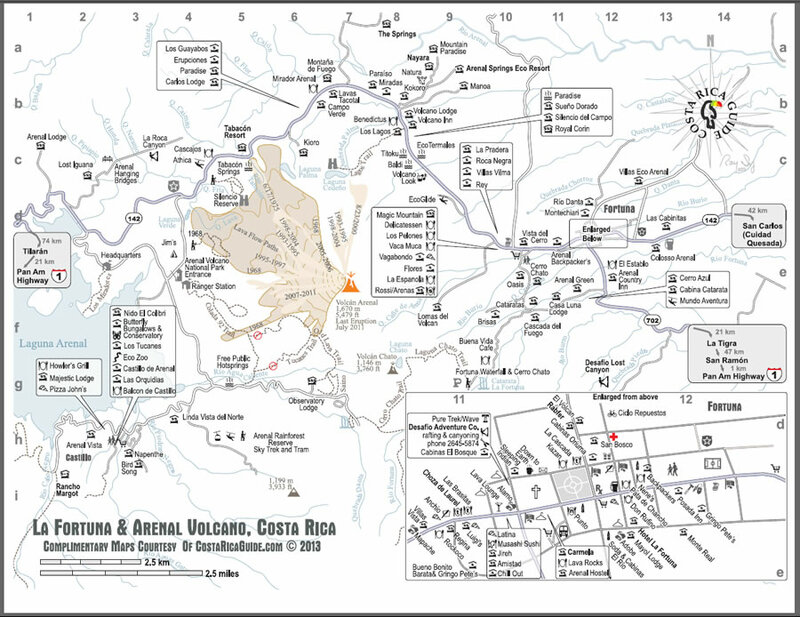 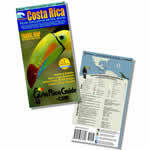 This map includes Arenal national park entrances, parking, trails, natural hot springs, lava fields and other attractions.